Christ's teachings are presented as our own from the perspective of Vedanta. Christ taught in the Sermon on the Mount that God can be seen and that divine perfection can be achieved. 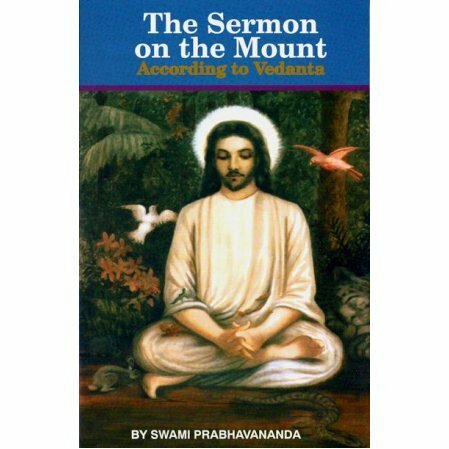 These talks by Swami Prabhavananda present Christ's teachings from the perspective of Vedanta. Christ instructs us to be still and know that we are God. He tells us be perfect, even as the father in heaven is perfect, that the pure in heart shall see God. All of this makes far more sense when considered from the standpoint of Vedanta Philosophy. Note that the book is based on recorded classes which we now offer as free MP3 files. It's helpful to have the book and follow along the talk. You can also hear the book professionally read at audible.com. main books, see the Vedanta Spiritual Classics. Fantastic book full of wisdom. Prepare to wear out your high-liter pen.